“One man’s trash is another man’s treasure.” This is my mantra! I swear I should have this tattooed somewhere on my body. Since I was a child it has been a way of life, my own personal challenge to find things on their last leg and breathe new life into them in my own unique way. This little table is just an example, one of my latest stories of success. 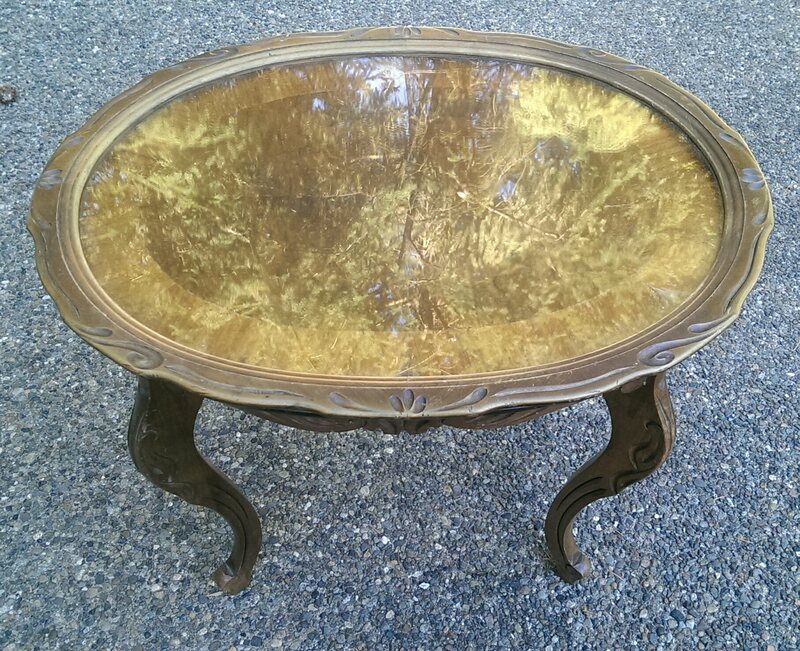 I found this Antique tea table where I find a majority of my treasures, at a Thrift Store. Wobbly with a questionable lean, its veneered top was cracked and missing pieces. Color-faded wood and many scratches – all the tell-tale signs of a good but hard life lived. Typically my style is NOT to spend too much time distressing Antique pieces. I guess I would call myself a purist when it comes to old treasures. If there is a way to save them and bring them back to their original glory that is my mission. In the case of this table, it had sadly gone past the point of no return. The tea top had its original glass. None of the scratches were too deep, it had good bones, and I knew it had a future! A little wood glue removed its lean. Some felt buttons on the bottom of two legs got rid of the wobble. A good, deep but gentle sanding to smooth out the veneer issues took it down to its foundation. Then, the fun began! I make my own chalk paint and I love it because it is just so darn durable! I chose a lovely cream color and gave the entire table three coats. Once the final coat dried I gently sanded it with a very fine grit sand paper. I took some time to consider what I wanted to showcase under the glass top and decided to go with a French accent. 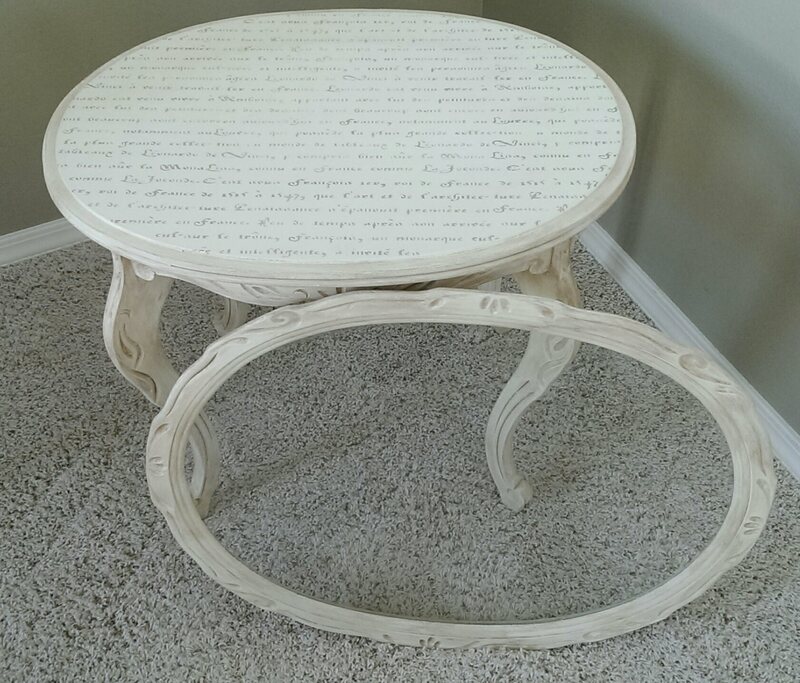 I hand painted, using a stencil of course, lol, a lovely old French text in a muted beige tone. To finish it all off I used a dark liquid wax to antique the table. I love the way the dark tone settled into the beautiful hand carved detailing on this piece. What was once forgotten is now ready for many more years of love, appreciation and functionality!